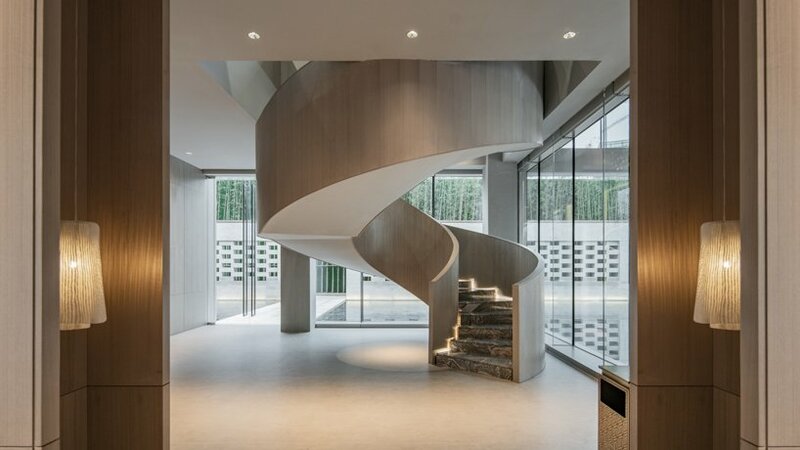 lacime architects has completed the design of ‘vanke emerald park’ located close to chongqing central park in china. 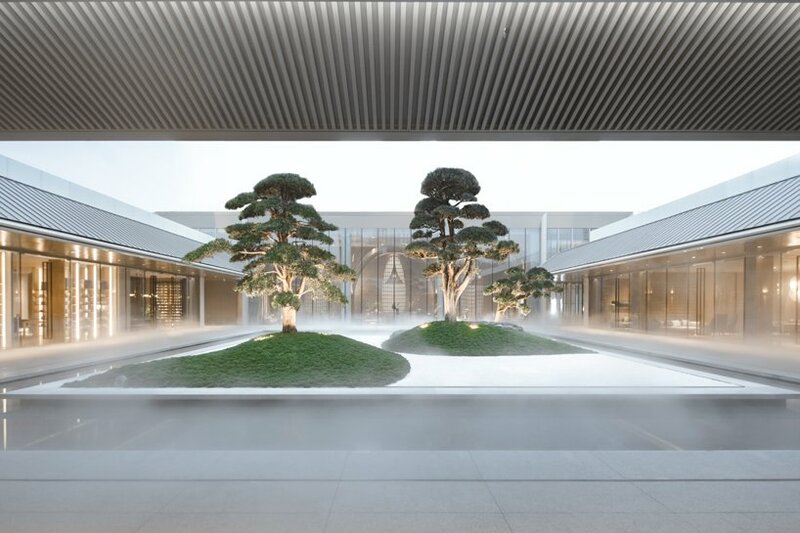 the concept behind the project creates a large public building, while the architectural design looks to reinterpret the essence of a traditional chinese space using a contemporary architectural language. 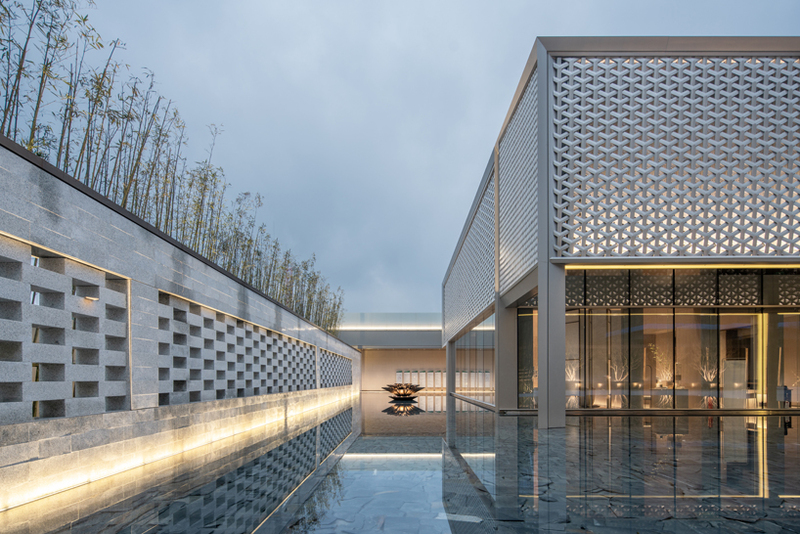 generally, the layout created by lacime follows chinese tradition by designing the front hall, backyard and multiple courtyards around an axis of symmetry. 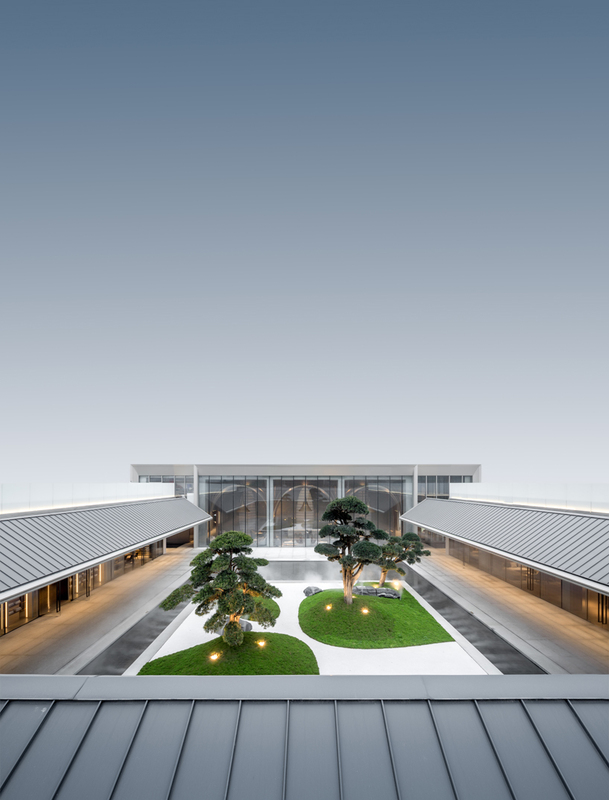 walls, columns and eaves are used to form large external courtyards and frame the outdoor scenery in various sizes and levels of openness. 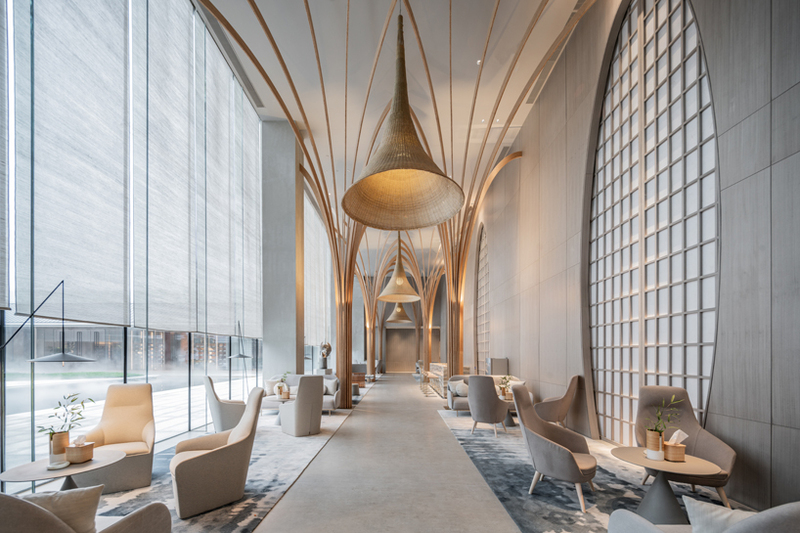 the front hall is home to a two-storey exhibition space that comes with three exhibition halls, connecting each other and a cozy reception room. 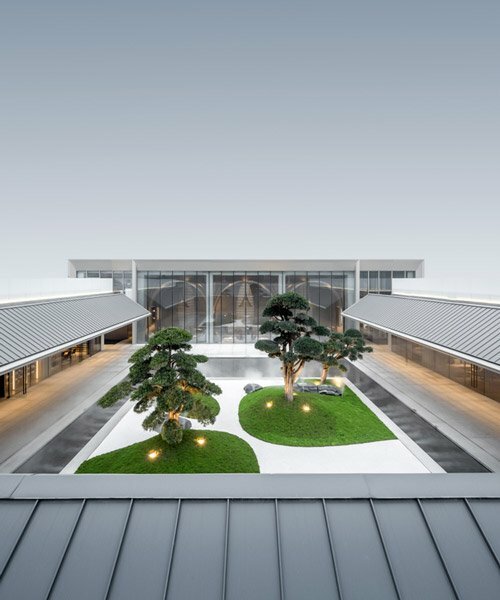 a large external courtyard has been formed in the center of the plan, in which stand three large pine trees, becoming the feature of the space. this outdoor area offers a perfect opportunity for socialising and relaxation. 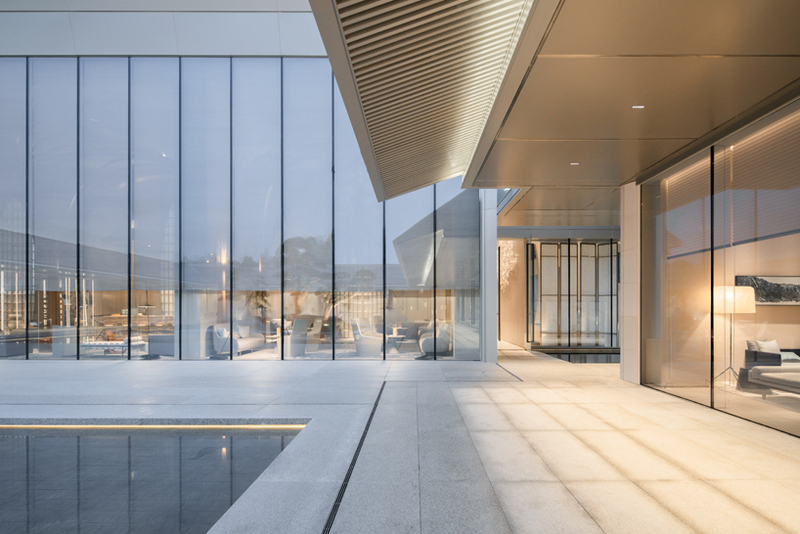 large overhanging eaves frame the view for people indoors, while the veranda acts as a natural extension from inside to outside, from building to landscape through the expanse of glass. 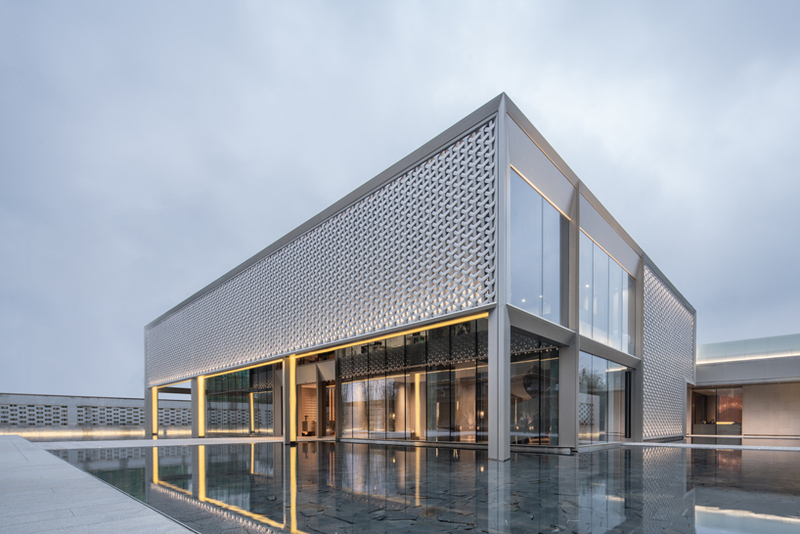 the façade is designed using a metal texture and transparent glass, which together aim to create a simple yet impressive volume. the façade of the main building is composed of 4500 Y-shaped three-dimensional elements that form a huge metal net. the Y-shaped elements are manmade, and pre-fabricated then cut and installed on site. 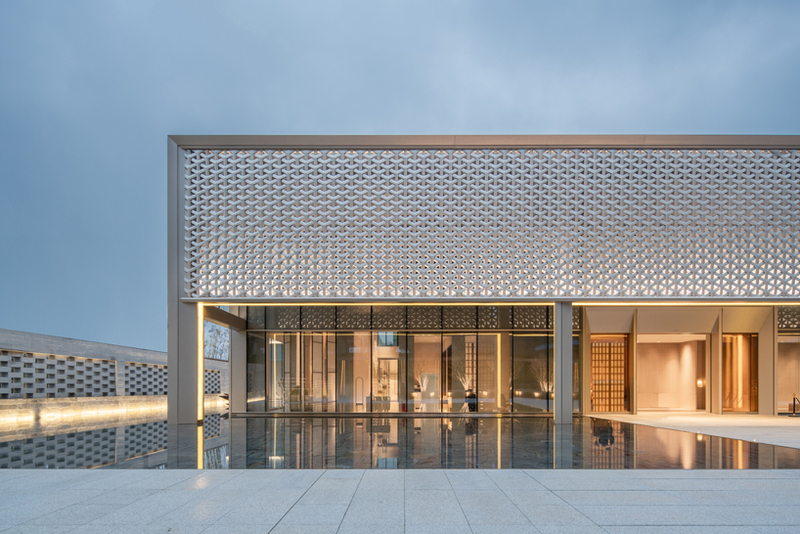 a lighting system is installed above and below the metal net, so soft light comes out of triangular holes at night, giving the building face a different aesthetic than during the day. the main building is surrounded by water on three sides. 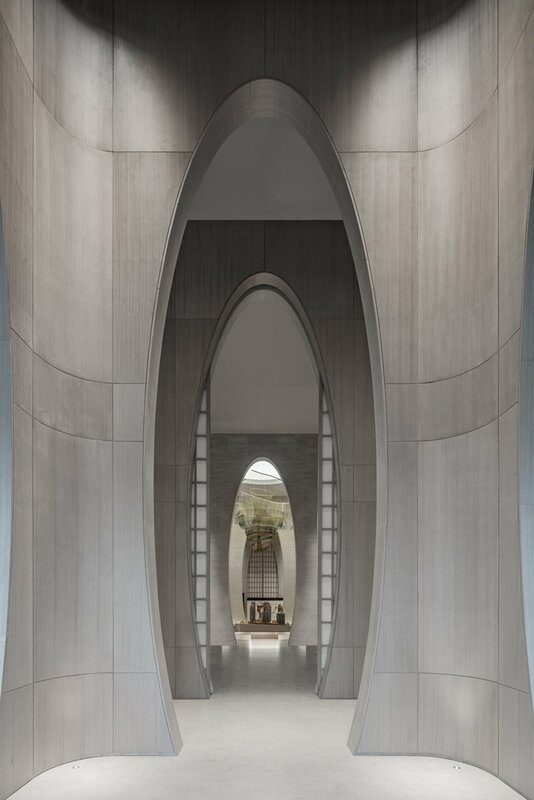 lines in the shape of inverted triangles are designed where the bottom of the external wall and water surface meet to support the main building and create an ‘overhanging’ visual effect. columns of outer frame are erected into water; the part above water is externally decorated with aluminium sheet while that beneath water with stainless steel sheet. 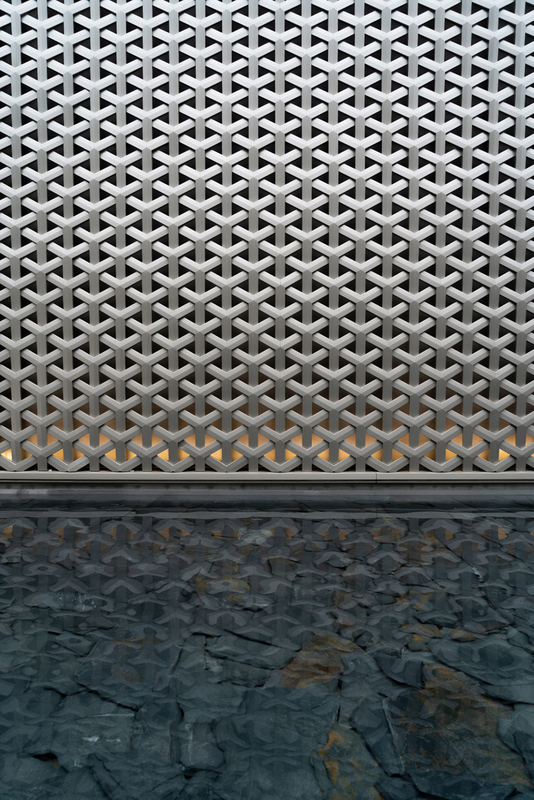 as ripples vary, stainless steel sheet reflects light onto the building. 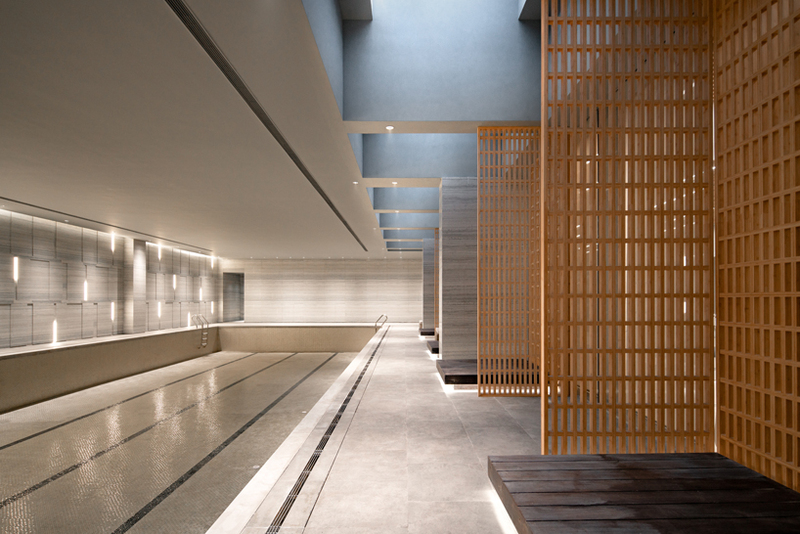 overall, lacime has created a building that combines interior and exterior spaces to form one unified building.